The University of Texas System plans to build a new campus on 300 acres in the southwestern part of Houston, an initiative its leaders say will drastically expand the system's presence in the state's biggest city. Editor's note: This story has been updated with comment from state Rep. Garnet Coleman. It's not yet clear whether the land will be used for a branch campus for a particular school or as a hub for all the UT System's 14 academic and health institutions, but the land won't likely be for a new university. Chancellor Bill McRaven, who announced the plans at a Board of Regents meeting Thursday, said "all options are on the table" and that he hopes to convene a task force next year to come up with ideas for the Houston land. "It is the fourth-largest city in the nation; it has an international footprint," McRaven said. "Why wouldn't we want to have a footprint in Houston? Don't you think Houston is large enough for another academic institution?" The board has authorized McRaven to finalize the purchase of the property, regents said Thursday. A final price hasn't been determined. The property, which is mostly vacant, is in an area called Buffalo Point about 3.5 miles south of the Texas Medical Center. A rendering displayed during the board meeting showed the potential for as many as a dozen buildings on the site, as well as sports fields and green space. Houston is already home to one tier one private university, Rice University, and a growing research school, the University of Houston, along with many other smaller universities and community colleges. The announcement was a surprise to some in the area, particularly supporters of the University of Houston. State. Rep. Garnet Coleman, D-Houston, whose district includes the university, said he didn't learn about the UT System's plans until an e-mail was sent out right before the speech. He said his first reaction was that this could be a "hostile move," with the UT System homing in on potential tuition revenue that might otherwise go to the University of Houston or other local schools. "Why now?" he said. "Is it because the University of Houston has done a good job building research or moving into health-related areas? Because, to be honest with you, all the time we were trying to build a tier one research university, it was the University of Texas that was killing the money." Coleman said he has requested a meeting with McRaven to discuss the situation. System officials said there is more than enough room for the UT System. McRaven said the system hopes to benefit from Houston's prominence in energy, aerospace engineering and health care. And he expects that many of the system's campuses will use it in some way. He compared the situation to when the original land for UT-Austin was bequeathed. It could take decades for the site to reach its full potential, he said. "They had a plot of land and never fully appreciated what it might turn into," McRaven said. 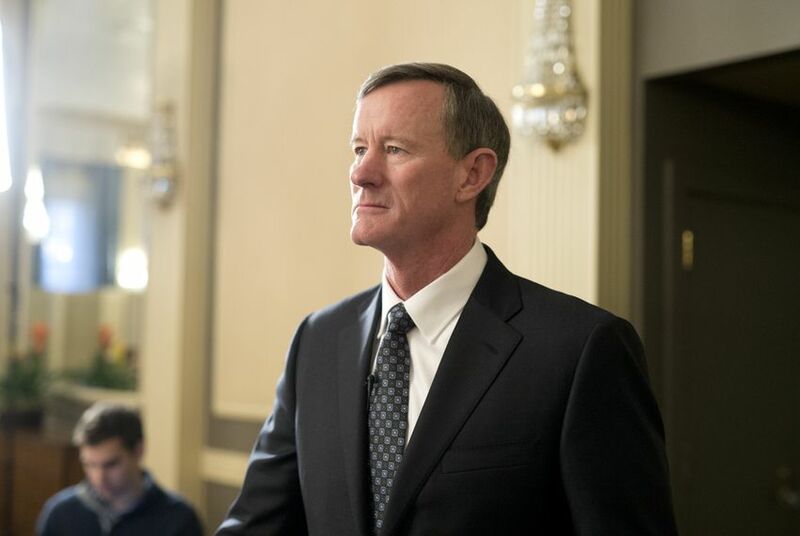 McRaven announced plans for the purchase during a speech to the Board of Regents about his broader vision for the university system. Board members and people in the audience cheered the idea. "Houston has 30 percent of the state's population, for us not to have a significant presence there — it's obvious by its omission," Board Chairman Paul Foster said. "I applaud the chancellor's vision and boldness for taking this step." Disclosure: The University of Texas at Austin and the University of Houston are corporate sponsors of The Texas Tribune, and Rice University has been a corporate sponsor of the Tribune. Paul Foster has been a major donor to the Tribune. A complete list of Tribune donors and sponsors can be viewed here.